Last year’s edition was a tremendous success: be sure to see the short video clip and the videos of the lectures! We had about twice as many applicants as spots available. 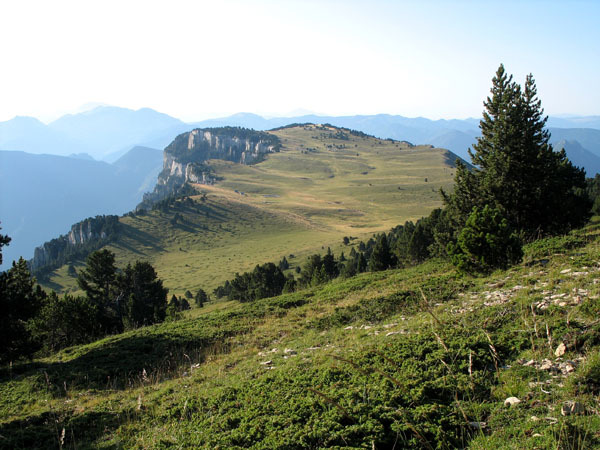 This year’s edition will again be held in the beautiful Vercors mountains in Autrans, near Grenoble, Sept 7-11. Attendance is limited to 80, so we will be selecting amongst the candidates. Registration fee is €180 for students, €360 for non-students, which includes meals and lodging (2-3 persons/room) from Sunday dinner to Friday lunch and bus transport from/to the St Exupéry airport and the Grenoble city center. Speakers are in individual rooms. The registration fee only partially covers the costs incurred. The remaining costs are covered by the European Commission’s 7th Framework Programme - ICT. The school is organised by the ArtistDesign European Network of Excellence on Embedded Systems Design, which gathers 31 top European institutions in the area. ArtistDesign’s mission is to coordinate European research in the area around an ambitious joint research agenda, and to spread excellence through targeted events such as international workshops, schools and seminars. ArtistDesign has a strong tradition in organising top-quality schools. This is the fifth edition of yearly schools on embedded systems design, and is meant to be exceptional in terms of both breadth of coverage and invited speakers. This school will bring together some of the best lecturers from Europe and the USA, in a one week programme, and be a fantastic opportunity for interaction. The General Chairs for the school are Joseph Sifakis and Bruno Bouyssounouse (VERIMAG Laboratory). We seek a balance between foundational aspects and applications. Speakers included recognized leading researchers and engineers. The school is open to PhD students, researchers, and engineers. Attendance will be limited to 80 selected participants. Be sure to see the short video clip and the videos of the lectures from last year !